Project contractors successfully completed the night work on Waipa Bridge this week. Additional night closures will be required in the upcoming weeks. The project continues to make progress towards its goals of substantially completing the Kuhio Highway road repairs by April 30, 2019 and substantially completing the repairs to Wai‘oli, Waipa, and Waikoko Bridges by May 31, 2019. 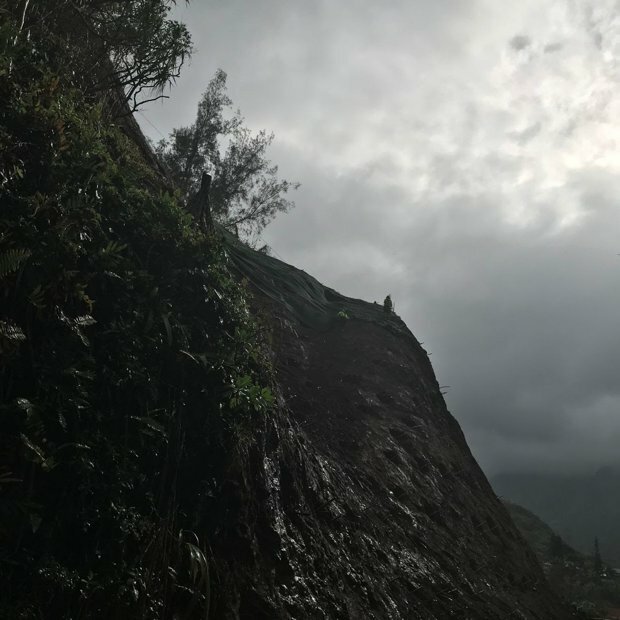 HDOT and the project team are actively working with the County of Kauai, other agencies, and stakeholders to develop a plan to safely reopen the Kuhio Highway to the public when the road repairs are substantially completed. 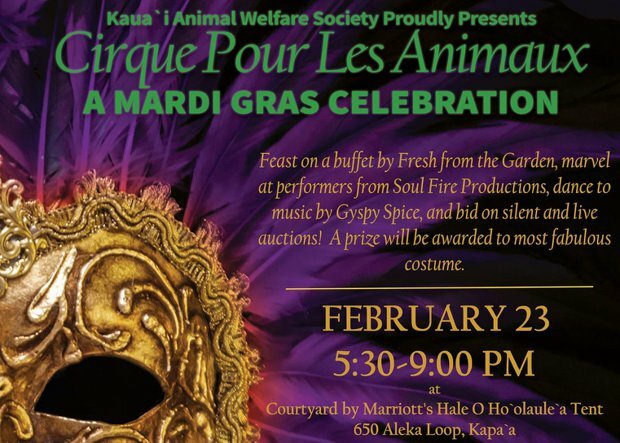 Kaua`i Animal Welfare Society Proudly Presents "Mardi Gras - Cirque Pour Les Animaux"
Sat. 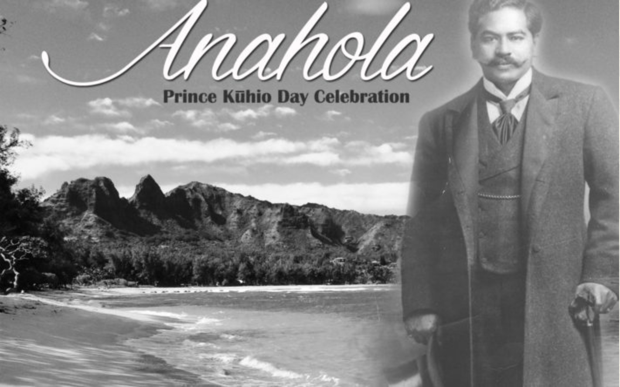 2/23 from 5:30pm to 9:00pm at the Courtyard by Marriott's Hale O Ho`olaule`a Tent in Kapa`a. 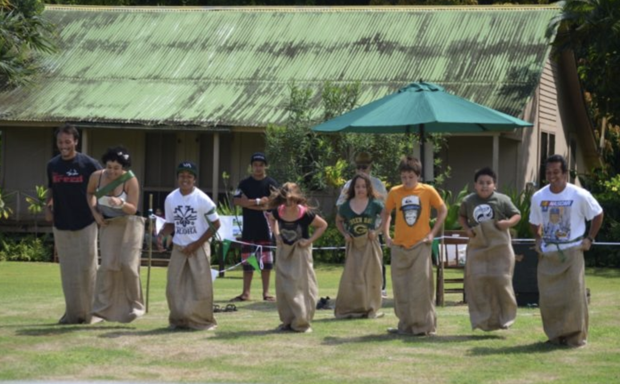 This will be a multi-location cleanup along the Coastal Path down in Kapa’a. 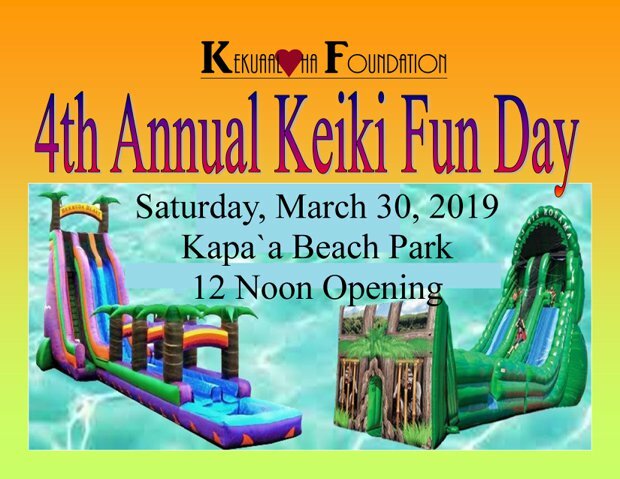 Starting at 10am at Kealia Beach near Lifeguard Station and dispersing to multiple locations along the path from Donkeys to the Boat Launch in Kapa’a. 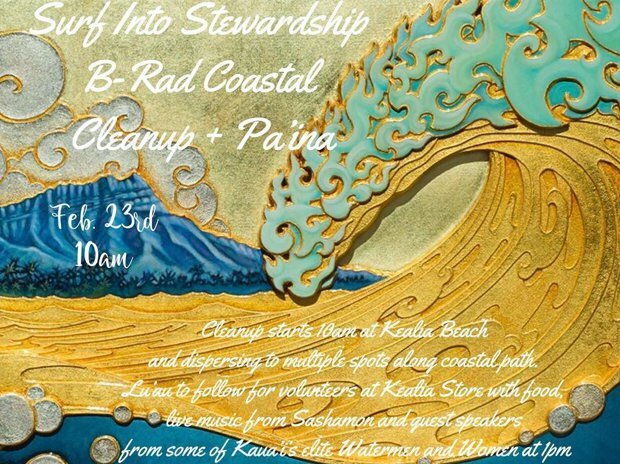 After the cleanup, they will head across the street to the Old Kealia Store for a FREE lu’au style lunch with guest speakers from some of our islands’ elite watermen and women and live music from Sashamon. This is one large scale cleanup that you do not want to miss! They will provide gloves, bags, and refreshments for all cleanup volunteers. 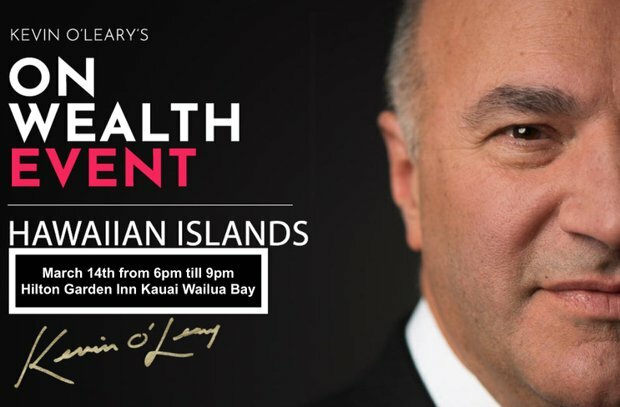 Please spread the word and let’s make it an Epic Day of giving back to our Island. 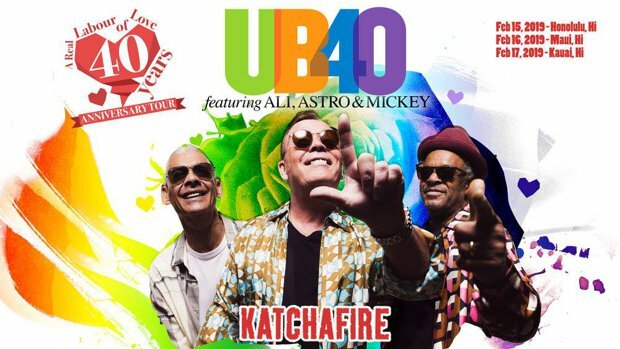 Progressive Expressions, Pono Market, Deli & Bread Connection and Hanalei Surf.